Despite being a chocolate purist, even I can recognize this universal truth: everyone loves Cinnamon Buns - especially on the weekend with a morning cup of coffee. The problem is most recipes require serious rise time, "Make the Night Ahead" foresight or come from a tube with a dough boy on it. To my mind, none of these are great options. 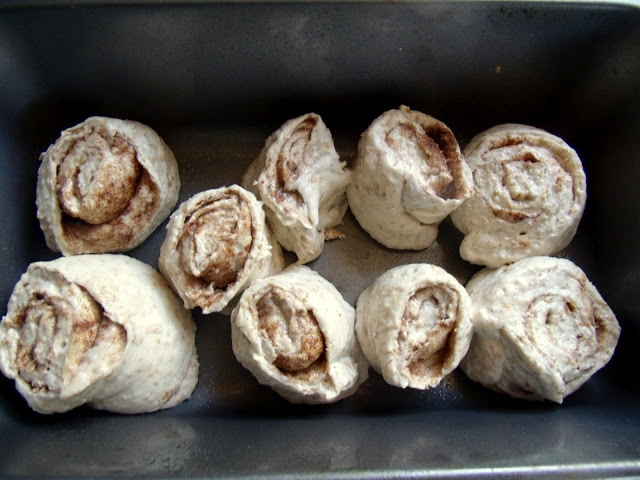 My goal of a simple, morning, warm from the oven Cinnamon Bun lead me to some experiments using 5 Minute Bread dough (the recipe is here). It the same dough we use for pizza, sandwich bread, naan and pretty much all the other bread based recipes in our lives. 1. Preheat oven to 400F. 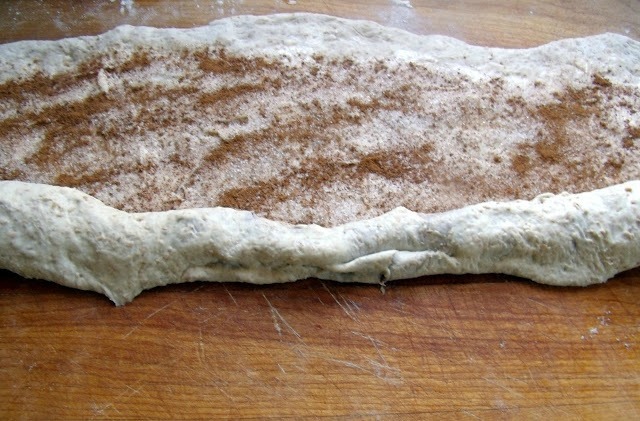 Liberally flour your rolling surface and the dough. Roll out into a large rectangle, approximately 8'x14'. 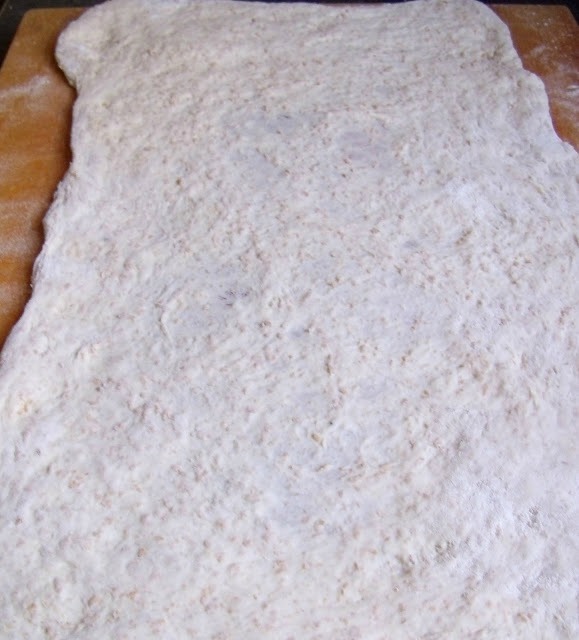 Get lots of flour under the dough sheet so it won't stick when rolling. I'm a hands-on person, so I actually stretched this by hand, but it would be more uniform if I had rolled it - leading to buns of more uniform size. 2. Butter or Margarine (can margarine be a verb?) 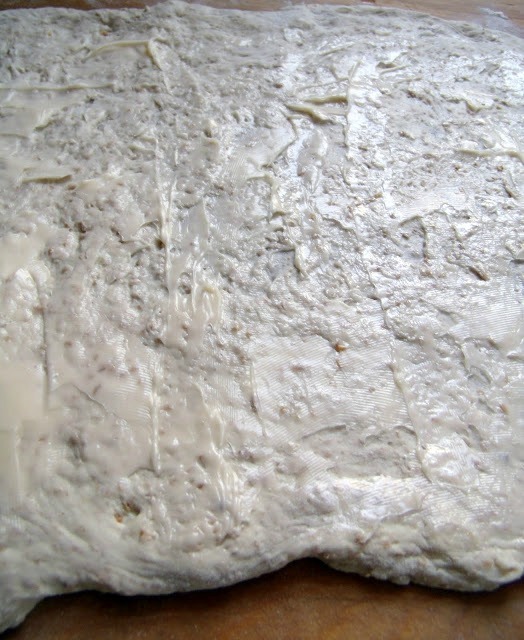 the whole surface of the dough sheet. See image below to see how thick I laid it on. 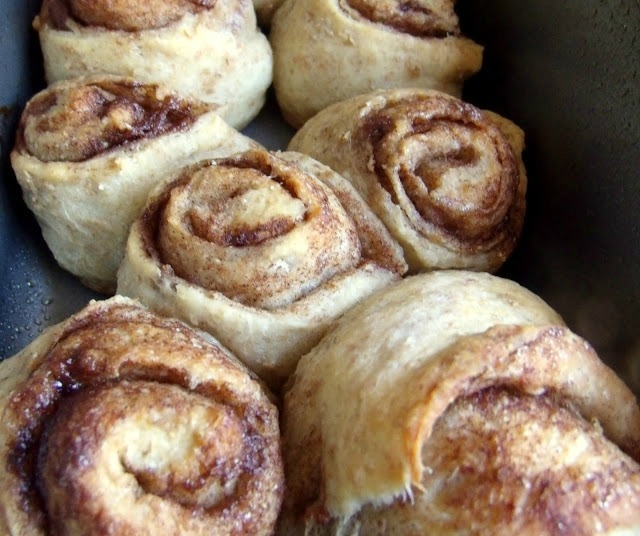 Remember, this bread dough has no fat in it, so this is your only chance to inject your Cinnamon Buns with buttery goodness. 3. 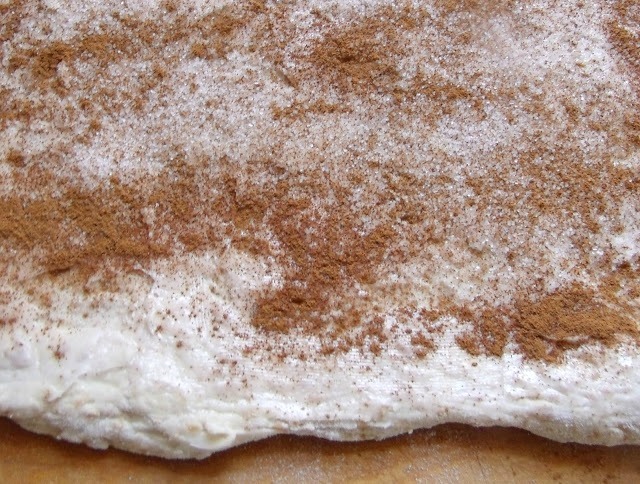 Sprinkle sugar and cinnamon over the whole surface too. 4. 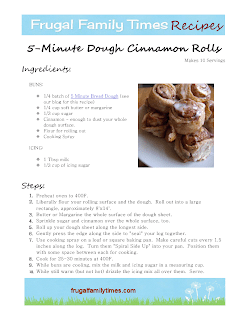 Roll up your dough sheet along the longest side. This is the toughest step - it will likely stick in spots, even if you were quick and gentle with the butter and sugar/cinnamon. 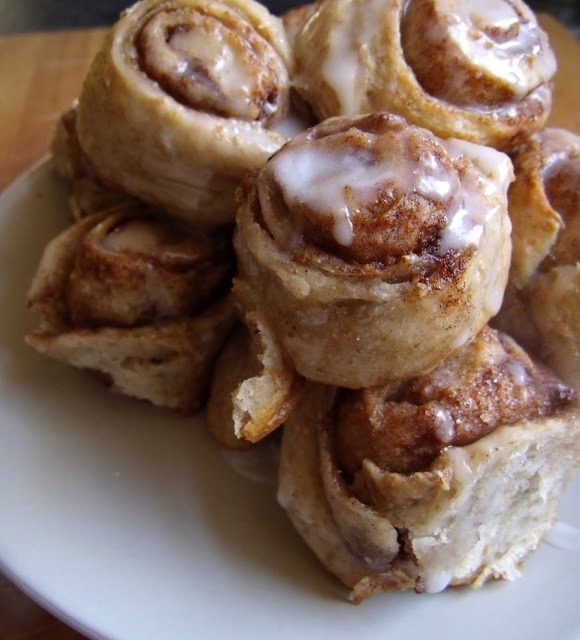 Take your time and roll gradually till you have a cinnamon roll log. 5. Gently press the edge along the side to "seal" your log together. 6. Use cooking spray on a loaf or square baking pan. While you're at it, spray the blade of a sharp knife. This will help you cut the log. Make careful cuts every 1.5 inches along the log. Turn them "Spiral Side Up" into your pan. Position them with some space between each for cooking. 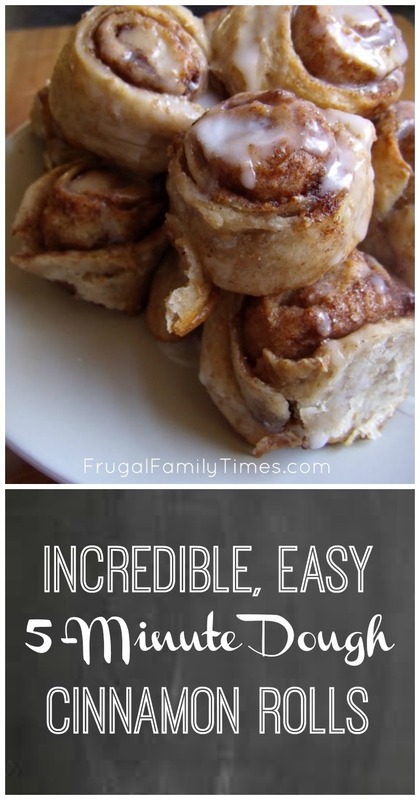 See the results of my uneven rolling - uneven Cinnamon Buns! They'll all taste good, so I don't mind. If you have the same issue, position the larger ones on the edges to cook faster. 7. Cook for 25-30 minutes at 400F. Keep an eye on them in the last 5 - the sugar/butter will go beyond "Caramelize" to "Burn" if you aren't careful. Here they are, out of the oven, cooling. 8. 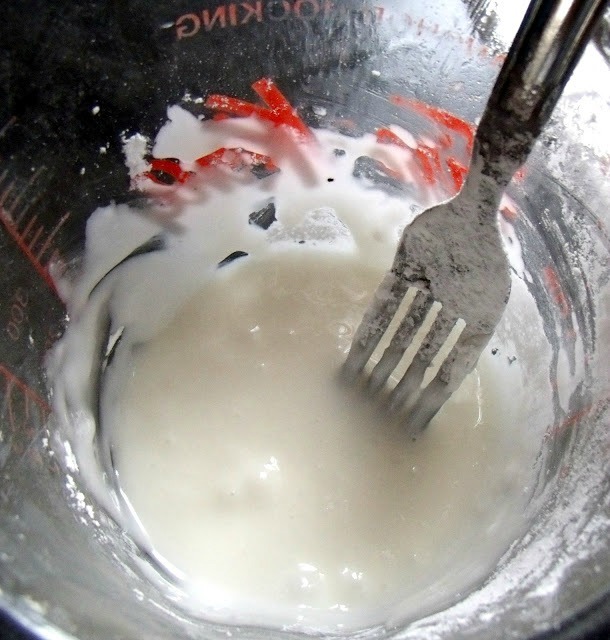 While buns are cooling, mix the milk and icing sugar in a measuring cup. 9. While still warm (but not hot) drizzle the icing mix all over them. Serve. I made this batch while the Crustless Quiche was cooking and shared the oven. They both cook at the same temperature. Time-wise, this is a close to Pillsbury as I have ever made, and as close to awesome as I have ever made taste-wise. What do you think? I can't wait to try this! Thanks. I love Cinnamon rolls! 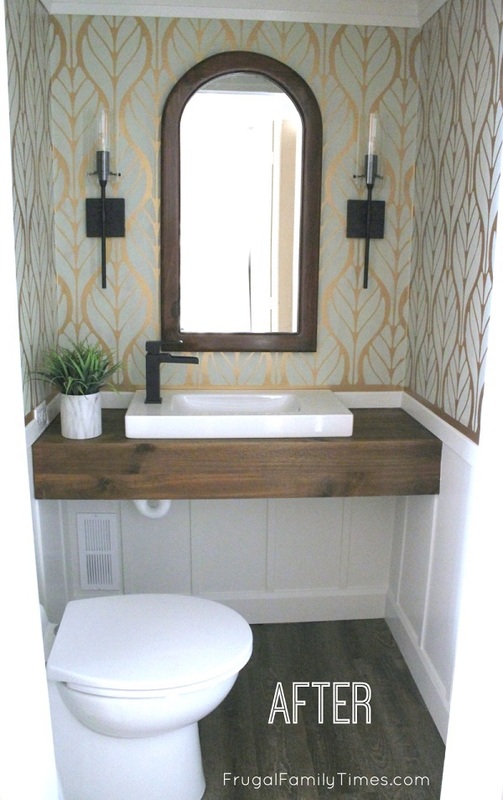 They are awesome and easy! Enjoy, Sarah! These turned out a bit too hard and chewy. Should I have added some rise time after forming them or do you think 20 minutes was too long to bake? Thanks! 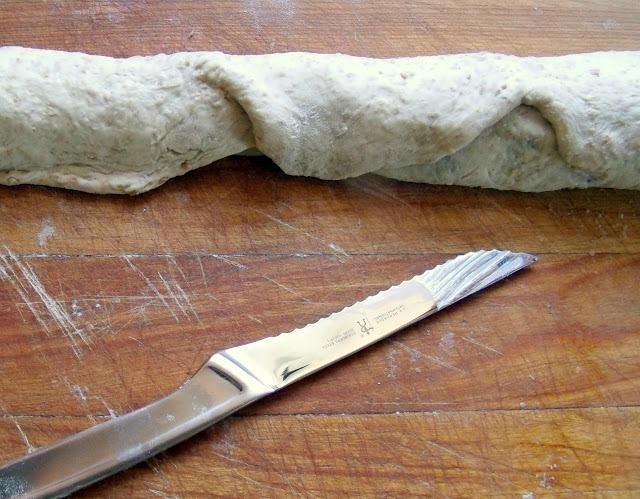 Can you use the dough right out of the fridge, or does it need to come to room temperature first?